Puli provides a framework-agnostic solution to this problem, keeping track of every resource location and avoiding the problems of using absolute or relative paths inside different systems. You map resources via CLI. A puli.json file keeps track of them. You use a ResourceRepository instance to handle resources. 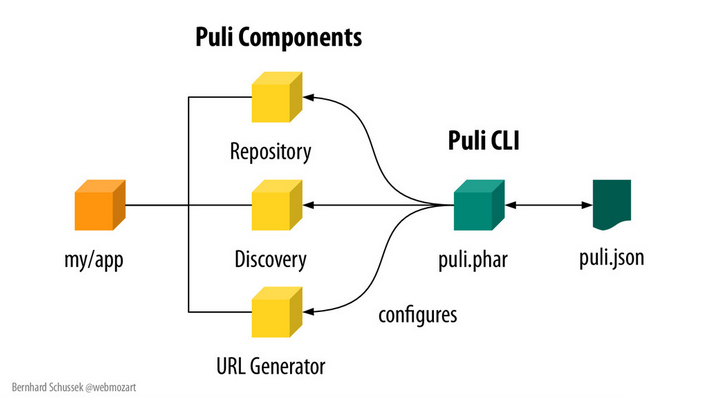 The Puli project also provides libraries for other functionalities like URL generation, or Twig support. To use Puli, first you need to install the Puli CLI. It’s recommended to install it as a phar, which can be done by downloading the latest release from GitHub. It can be placed in the /usr/local/bin directory for global access. Once you have installed the CLI, you can use Puli in a Symfony Project, in a PHP Application or a Composer package. You can find more information on your specific project’s type in the getting started guide. It’s always recommended to have a neat directory project structure. The Puli docs reinforce this suggestion, adding a clear separation between the PHP code and the other non-PHP resources. You will notice that the map is stored in the puli.json file generated inside the project folder. It is now possible to reach all the mapped resources from PHP using the Puli path /myapp. ls, to list all the resources. tree, to print the resource list tree. find, to find a resource with some filter criteria, (i.e. puli find --name *.css will find all the .css files). map with -u or -d arguments, to update/delete a map (ie: puli map -u myapp --add /new/folder). To show Puli in action, I have created an example project with Symfony: an image gallery. The demo displays all the images stored in an images_resource folder. 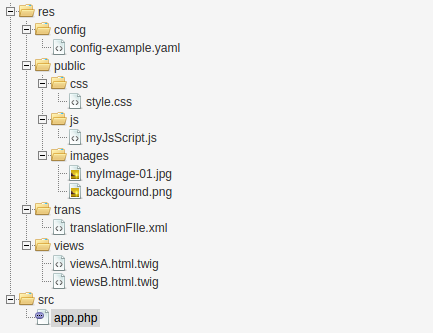 Symfony uses the web folder to store all the front controller files and the web assets (CSS, JS, images, other). The web folder is, by default, the web application’s public access point. In other words, direct URL access to the other project directories is not possible. The demo project contains one AppBundle with its CSS and views stored in src/AppBundle/Resources. The Symfony asset management automatically copies every bundle’s resources into the public web folder. You will see how asset management with Puli is more flexible and provides extra configuration options. then enter the project’s root directory and run: composer install. The Symfony console will ask you to configure some parameters, but you can just press enter to accept the default values. Finally, in the project root, you can run app/console server:start to run the server and see the app in the browser. You can reopen the project’s page to see that nothing has changed, because Puli perfectly called the mapped view. The next goal is to refactor the view using a Puli path for the CSS. You can publish the resources of /myapp/public into the public folder of the demo project, the web directory. Publishing is essentially copying or symlinking the resources over. The command will create symlinks of the /myapp/public elements into the /web/app path. if you already have the demo. Don’t forget to run composer install in the project’s folder, then puli.phar publish --install. and every mapped URL will be updated automatically. Another use case can be creating a simple cache invalidation system, appending to the query string something like %s?v1. The demo project is quite flexible and allows us to change the images folder and URL. Puli provides a Discovery component which can add even more flexibility – for example in filtering specific resources. The Discovery component manages the connection between resource providers and resource consumers. In other words, it can connect resources with services that will use them. In the example, the controller can be a resource consumer, and the image folder can be a resource provider. To handle a resource with the Discovery component, you first define a resource type, then link it to a resource path. 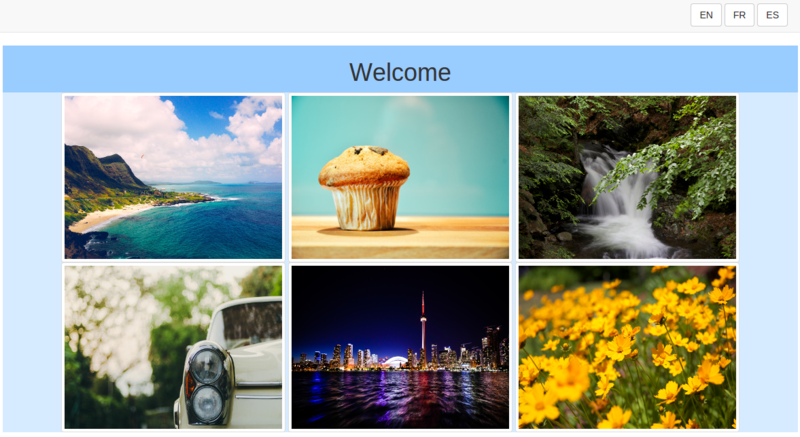 In the example, we will create an app/image resource type linked to the web/images folder with a filter to get only JPEG images. If you reopen the homepage, you should notice that only .png images are missing, as expected. To see the final version of the demo project, check out version 3.0 and run composer install and puli publish --install to see the correct result. The Discovery component was built mainly to connect Composer packages and make this integration easy. You can find more information on The Discovery Component official page. Puli solves a real problem about resource management. 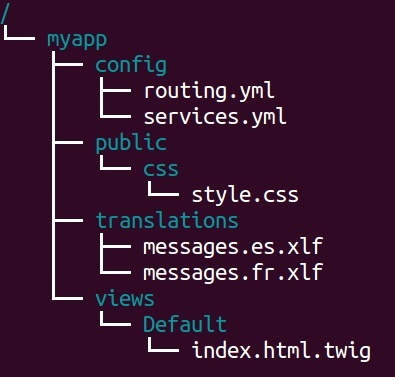 The CLI is easy to use, and the Composer connection is one of the strongpoints of the project. Thanks to the author and all the contributors, there will soon be a stable release; although the beta works quite well. You can find more information about Puli in the official documentation and share your personal thoughts in the comments below. Nicola Pietroluongo is a software engineer with many years of experience, open source enthusiast, now creating and contributing to awesome PHP web projects.